This is one of the most powerful truths in the Bible. Think about what Jesus said here. To abide means to remain one with. This begins when we become born again. If we do not deny Christ we remain one with Him. But His Word must also abide in us, or remain one with us. Another way to say this is the Word of Christ must prevail over us. It must become settled in our hearts so that we believe the Word above all else. God’s Word is a prevailing force in the earth for His Word created everything, therefore everything is subject to His Word. When His Word prevails over us and is settled in our hearts we will speak in line with the Word of God and not in line with the world. For His Word to abide in us (in our hearts) we must have our minds renewed to the Word of God. This is achieved by attending to, meditating on, studying, and speaking God’s Word over you. When His Word becomes settled in your heart it will come alive in you. 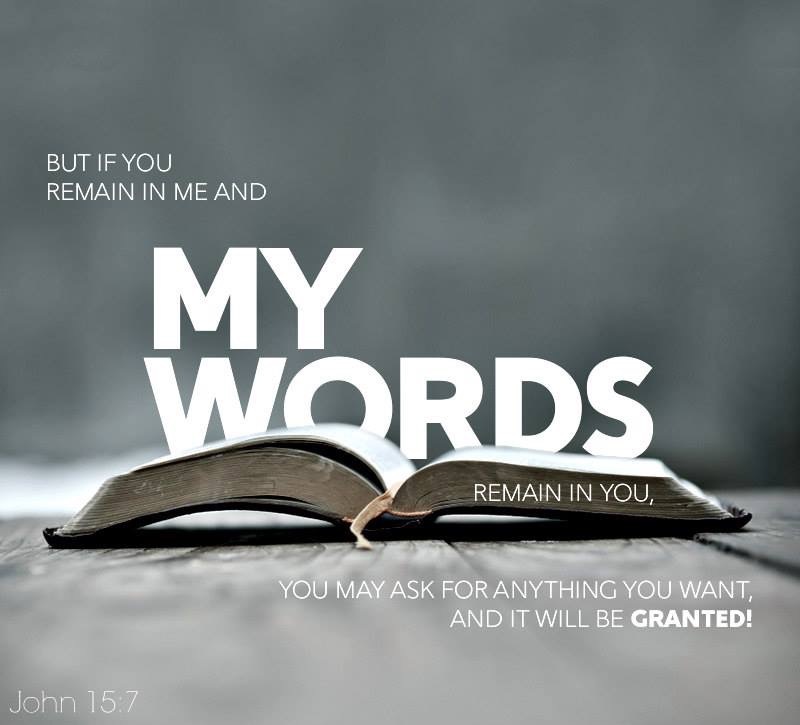 Remain one with Jesus and let His Word prevail over you, becoming one with that Word, and you shall ask what you desire and it shall be done through the prevailing Word of God.